I’m in Copenhagen. I’ve been teaching “Embodied Leadership and Co-creation” with a wonderful group, in which I have been learning so much about the power of feeling safe to empower people to find courage, connection and co-creative freedom. On Saturday night, after eating with my assistant team in a steamy African restaurant, I caught a taxi back to the flat where I was staying. My driver was a young Syrian man who had been in Denmark for three years. His parents and family were still in Syria. Quietly he told me how he worries about them every day and makes sure that he speaks with them every day. Then he said: “Denmark is a good country. I am very grateful to be here. Here I can work and send my family money. Here, in politics and in normal life they discuss, they debate, they talk about disagreements, rather than killing each other. And so they can work together, even people who disagree try to understand each other. In Syria we have the opposite. And you see the result. I hope one day we in Syria can learn to talk with each other and debate and listen and work together as they do here.” I’m sure not all Danes would agree with this rosy depiction of their country, but, the point is clear. I find myself thinking the same about the UK. What has been giving me hope in the political mess called Brexit all along is that as the ‘binary-either-or’ system is so clearly not working, something else will have to come into play. My hope is in the elected men and women in parliament, and in the good people of this country to find a way forward together. Because it is needed. Because the need of the moment is stronger than the force of polarised and polarising habit. Because the old way is so clearly not working. I feel a flame of hope in this moment that a new way of non-polarised politics might be born. 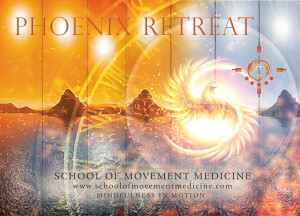 And I have something I want to add into this from my recent experience teaching Movement Medicine. I’ve been exploring working with (even) more awareness of what our nervous systems need to feel safe. Bessel van Der Kolk’s “The Body Keeps the Score” has been inspiring me, together with the understandings of Stephen Porges and his son Seth, on trauma, safety and polyvagal theory. All of this together with my pony whispering practice with my beautiful Exmoor Pony “mirror masters” is meaning that my understanding of what we need to grow and change is being profoundly re-arranged. I feel like I’m looking at all of our work from a new angle. Everything is different. From the point of view of nervous system regulation, I’m amazed and happy to see how, in the creation of Movement Medicine, we have been so instinctively resonant with the latest understandings of what is needed to support humans to grow their consciousness through being present in the body. However, the new understandings I have gained through researching for my book, and the resultant fine tuning of my work, are making a profound difference to what is possible for people on the dance floor. And this has huge implications for everything that I have been talking about above. Since I have begun working with this stuff, I have seen groups operate with a co-creative ease, an effortless synchrony and synergy which was simply stunning to witness. Dancers are more able to work positively with difference, to create more beauty and strength, rather than less. Movement Medicine has many strap lines, but this is one that I especially love, which the dolphins taught me: “Individuality without separation, and unity without conformity”. On the dance floors, since I’ve been working with “added safety,” I’ve seen this vision come into being on a whole other level of embodied manifestation. You can see the difference, feel the difference. People are softer and stronger. The bodies become more pliant, less brittle, like wood that regains its sap. More open, but also clearer. If you want to know more, I’ve added a P.S. at the end of this article about what people have shared with me about their own experience of the “added safety” work. 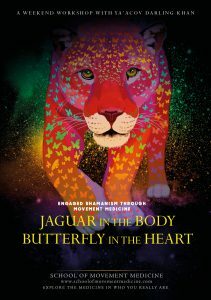 So, if we are all part of one evolving and complex system called life on planet earth, the following is the connection I have so far made between the bigger picture of Brexit (and adversarial politics in general) and Movement Medicine and its offering. Our adversarial system of politics herds us back into tribal mentalities of “us and them” and ensures that our physiology maintains this. We stay in adrenalized survival mode which is so normalised that we don’t even notice it, which means that listening and working together and being able to see from the other’s view point, becomes almost impossible. Apparently, even the mechanics of our hearing changes according to whether we are in peace or adrenalised. We actually hear differently and become more (when we are at peace) or less (when adrenalised) sensitive to the nuances of feeling in human speech. In order to have a political process where the whole is greater than the sum of its parts, we need to be able to listen, to put ourselves in each other’s shoes, to know that we are all safe. Which means that how we speak to each other or about each other, is crucial. Words are very powerful. Words such as “treachery”, “betrayal”, “coward” and “traitor” call on a deeply primal survival part of ourselves which leads us in a direction of exclusion of the “other” from what we consider to be human or identify as “us”. This opens the way towards us/them polarisation and the vicious circle of fear, defence and attack. At the same time, these words are being used either by people who are enraged because they have not felt heard or respected or by leaders who are using them (consciously or unconsciously) to manipulate. They are a snarl that evokes fear and either submission or resistance which can become violence. This is human history. It is not new, and it is not the way forward. No-one feels safe when they are not heard. But it is hard to the point of impossible, to truly hear another point of view when safety isn’t present. Imagine a new parliament where they meditate or dance together before debating. Imagine support for the physiology of safety, for the reality that we need to learn how to listen as well as to speak. Where the benches are not facing one another, but in a curve (as was suggested by a TIG MP). Where there is support for calmness and where there is commitment to hear each other. Imagine a “co-regulation aware” government. And let’s come back to imagining the politicians of the world dancing! I’m ready. You? By the time you get this, I hope and pray that Brexit will have moved on in a good way, but all the stuff about safety remains. If you want to know more about what has inspired me re this safety thing, see the PPS. At the beginning (of the “added safety” work) I thought “I don’t need that!” but I tried it anyway. Then I was surprised by how good it felt and how much feeling came up when I was in the safe harbour. I was surprised by how much I felt I needed it and wanted it. And then, each time I returned from the harbour to dance, I found myself braver: more curious, expansive and adventurous. And then I would come back to the safe harbour and drink in the support, and then, when I went out to dance again, I would find myself even more curious, expansive and adventurous. Wow. Another participant, who is a master movement teacher in his own right and has danced with me many times, told me that he had never experienced a group like it. He said that he felt that where ever he went in the room, he felt that he knew he would be safe, that here would be benevolent harbour, kindness, welcome. That meant that he felt safe to let go, and on a physical and emotional level he could go much further than he’d gone before. https://www.youtube.com/watch?v=br8-qebjIgs&t=853s, with Seth Porges about regulating our nervous system, and how it works. https://www.youtube.com/watch?v=3pbVTla932Y an interview with Stephen Porges about the importance of safety in relationships. And this is wonderful and really helpful from Dee Wagner..
As you will see if you watch them, the input of polyvagal theory and Stephen and Seth Porges has been very important for me. I honour and thank them both. If you wish to learn more about the theory behind Movement Medicine, I recommend you to our book “Movement Medicine” available from our online shop. And this is a must if you are interested in this area: Bessel van Der Kolk’s book: “The Body Keeps the Score”. 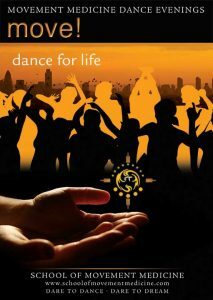 9 April: Bringing the Dance Back Home. Webinar, online. With Susannah. 10 April: CPD Webinar with Susannah and Ya’Acov. Online. 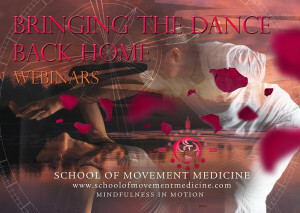 This is a webinar for everyone who has taken or is participating in Movement Medicine Professional Training. It provides the space to hear about and explore subjects or themes, suggested by you or Ya’Acov and Susannah, which are related to your professional work with Movement Medicine. All sessions are recorded and accessible to the subscribers of the CPD webinars. 12–14 April: Life Lab with Susannah. Salzburg, Austria. 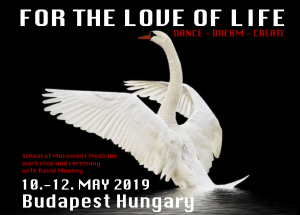 In this workshop the dancer will learn a few of the powerful tools of Movement Medicine, which have a positive impact on life, business and relating. The participants can discover new possibilities of being more present, resourceful and conscious in every day life, and will walk (or dance) away with a wide knowledge of and new skills around embodiment. The workshop provides a practical tool kit to take home, empowering each one to integrate new conscious ways of being, bringing about real and tangible positive shifts in personal and professional life.